Are Personal Injury Settlements In New York State Taxable? In most instances once a case is finally settled, the question regarding whether or not those settlement proceeds are taxable arises. The only portion of a settlement which is taxable involves remuneration for lost wages. The portion of a settlement pertaining to pain and suffering is non-taxable. 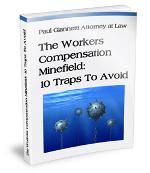 In most instances a general release does not state what amount of a settlement represents lost wages. In that circumstance, it may be possible for the IRS to make a determination as to the amount of taxed owed from the settlement.